CCUPIED JERUSALEM, PALESTINOW.COM — Australia formally recognizes occupied Jerusalem as Israel’s capital, but will not move its embassy there immediately, Astralian Prime Minister Scott Morrison said on Saturday. READ: Why is Israel targeting Turkey’s presence in Jerusalem? Bombing children playing ball along the coast of Gaza is a crime against humanity as bad as the Holocaust, he said. Erdogan thanked “heroes” who uphold the honor of Jerusalem and humanity and protect the dignity of the Muslim Ummah against occupiers. Palestinians must put an end to discord among themselves in order to see the outcome of their friends’ efforts, the president added. Israeli occupation forces shot and killed 60-year-old Palestinian business-owner Hamdan Al-Arda yesterday, during a raid of Al-Bireh, in the central West Bank. Al-Arda was driving in his car when soldiers opened fire, killing him. However, eyewitnesses, the man’s relatives, and even Israeli sources cast doubt on these claims. The paper noted that hundreds of Palestinians marched yesterday evening in Araba, the man’s hometown, to protest the killing and accusing Israel of killing Al-Arda “for no reason”. 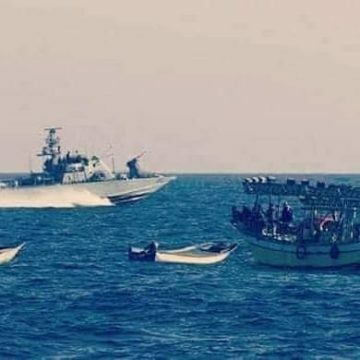 Israeli media “citing defence sources” reported that “the incident was likely not terror-related”, adding that Al-Arda was killed “a short distance from his business’s headquarters”. 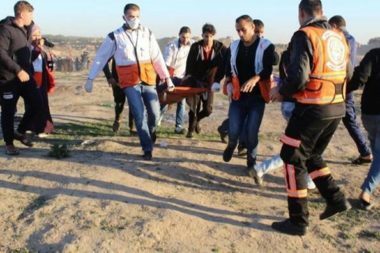 According to reports at the time, Palestinian Red Crescent medics were prevented by Israeli forces from reaching Al-Arda after he had been shot. The Palestinian leadership on Saturday slammed Australia’s “irresponsible policies” after its recognition of west Jerusalem as Israel’s capital. The country became one of just a few to follow US President Donald Trump’s lead and recognize the contested city as Israel’s capital. Australia said it would open a defense and trade office in the west of the holy city and Prime Minister Scott Morrison also committed to recognizing a future state of Palestine with east Jerusalem as its capital. “The policies of this Australian administration have done nothing to advance the two-state solution,” senior Palestinian official Saeb Erekat said in a statement, stressing the Palestinian view that the holy city remains a final-status issue in Israeli-Palestinian peace talks, which have run aground. There was no immediate comment from Israel’s government on Saturday, the Jewish Sabbath. Morrison had earlier floated the idea that Australia may follow the contentious US move of relocating its embassy to Jerusalem from Tel Aviv, but it was seen by many Australians as a political stunt. Critics called it a cynical attempt to win votes in a by-election in October for a Sydney seat with a high Jewish population. Israeli forces suppressed the weekly Bil’in march, west of Ramallah city, in the central occupied West Bank, on Friday afternoon. Locals, international and Israeli peace activists took part in the march, that was called for by the local popular resistance committee. The march set off following Friday prayers at the village mosque,Ma’an reports. Protesters waved Palestinian flags and chanted slogans calling for Palestinian unity, resisting the Israeli occupation, releasing all Palestinian prisoners, and for refugees to return to the homes from which they were displaced. Bil’in is one of the most active Palestinian villages in peaceful organized opposition against Israeli policies, as residents have protested every Friday for 12 consecutive years, and have often been met with tear gas, rubber-coated steel bullets, and stun grenades, from Israeli forces. In an all-night massive Israeli military offensive into Ramallah, centered on the al-Am’ari refugee camp, to demolish the family home of Islam Abu Hmeid, Israeli soldiers forcibly removed more than 500 Palestinians from their homes in the dead of night. The families were forced out of their homes at gunpoint with no food or blankets, and held for hours, as hundreds of Israeli soldiers surrounded their property, and held them at a local school until dawn, when most of the women and children were, hours later, allowed to leave and be sheltered at a Red Crescent facility. 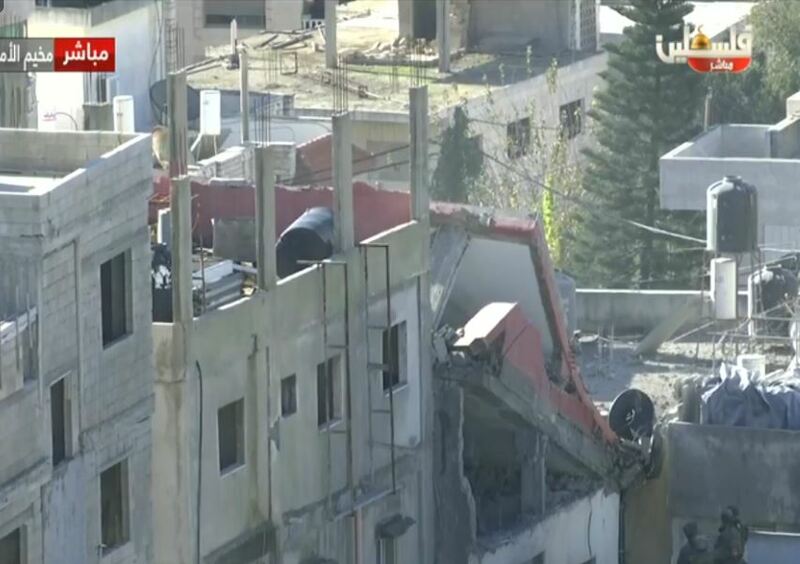 At around 10 am , the military began to withdraw from the area, apparently satisfied that they had sufficiently destabilized the structure of the four-story building to prevent any of the Palestinian families who lived there from being able to continue living there. The collective punishment of the residents of the building was part of an Israeli policy, which is in direct violation of international law, of punishing the families of prisoners held by Israel by destroying their homes. In this case, the soldiers wired the family home of Abu Hmeid for demolition, after members of the engineering corps spent hours demolishing interior walls, and planting explosives, which were later detonated, but did not lead to the leveling of the building. Palestine TV reported that the soldiers then spent several hours to rewire the home, and tried detonating it again, destroying it and causing structural damage to several surrounding homes and buildings. The invasion which started late at night, was carried out by hundreds of soldiers, in dozens of armored vehicles and bulldozers, in addition to members of the Corps of Engineers. The soldiers surrounded the four-story building belonging to Abu Hmeid family, and all neighboring areas. The soldiers then invaded dozens of homes and rounded hundreds of Palestinians, including seniors, women and children, and forced them into a local school, which the army illegally occupied and turned into a military base. Hours later, the soldiers allowed medics of the Palestinian Red Crescent Society (PRCS) to move the women and children to its headquarters to provide them with the needed care, food, and medical checkups. The Palestinian TV said that about 320 males, from various ages, are still held in the school, and the army is refusing to allow them to leave. The PRCS said its medics were eventually successful in removing nearly 100 women and children from the school, and took them to its headquarters. The Red Crescent brought some food and water to the children in the school, and sheets to keep them warm as much as possible. The WAFA Palestinian News Agency has reported that the soldiers detained the mother of detainee Islam Abu Hmeid, who was taken prisoner on June 6th, 2018, after the army claimed he killed an Israeli soldier, identified as Ronen Lubarsky, on May 24th, during a military invasion into the refugee camp; the soldier was seriously injured, and died from his wounds on May 26th. The soldiers also attacked the family with clubs and batons, used pepper-spray and tasers to force them out of their home, in addition to abducting and detaining dozens of residents. In addition, the army fired dozens of gas bombs at Palestinians and their homes throughout the area, causing tens of residents, including children, women and elderly, to suffer the effects of teargas inhalation. At least ten of the wounded Palestinians were moved to hospitals. 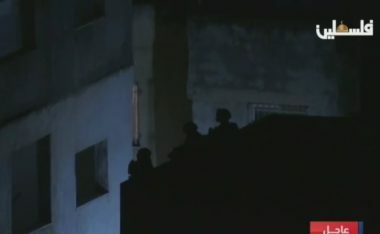 Israeli army sharpshooters also invaded homes and occupied their rooftops in the refugee camp, while hundreds of soldiers were deployed in the alleys while firing a barrage of live fire at the Palestinians, homes and property. The soldiers also stopped a Palestinian ambulance while transporting a pregnant woman who was in labor, which forced the medics to take her to the local school, and hours later, managed to take her to the hospital. 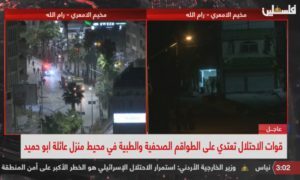 Furthermore, the soldiers assaulted and injured many journalists and medics near Abu Hmeid’s home, and opened fire at them, wounding one journalist after shooting him with a gas bomb in the head, before he was rushed to a hospital, while many reporters and medics suffered the effects of teargas inhalation. The wounded journalist, identified as Majdi Bannoura, is a cameraman with al-Jazeera TV, and is in a stable condition. It is worth mentioning that on December 2nd, the Israeli High Court denied two appeals against the demolition of the four-story home, and gave the family until December 16th to leave the property, but the army decided to demolish it today. The family of Abu Hmeid was first rendered homeless after the soldiers demolished their home in 1994, then again, demolished the rebuilt property in 2003, especially after the army killed one of its sons, identified as Abdul-Mon’em Abu Hmeid. Six siblings are held in Israeli prisoners; four of them are serving life-terms, and one, identified as Jihad, is currently held under arbitrary Administrative Detention orders, without charges or trial. The four, who are serving life terms, are Nasser Nasr, Sharif and Mohammad. Islam Abu Hmeid, who was abducted in June of this year, and accused of killing the soldier, is also a former political prisoner, who previously spent years in Israeli prisons. 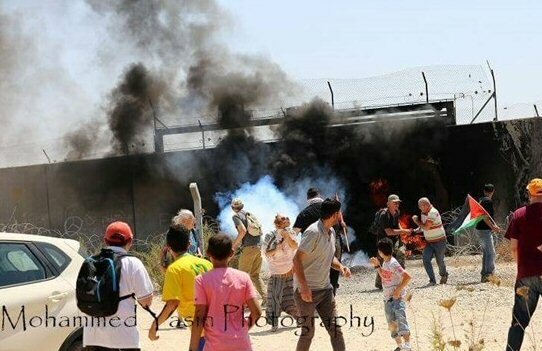 The al-Am’ari refugee camp, and all surrounding areas, remain besieged and isolated by the soldiers, who also injured dozens of Palestinians, protesting the invasions and demolition. 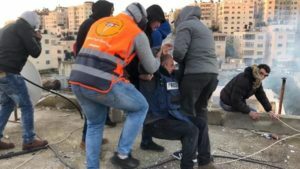 Among the wounded are many journalists and medics, who were performing their duties in the areas of protesters, and near the Abu Hmeid home. At the time of this report, the soldiers were still firing dozens of live rounds, gas bombs, concussion grenades, and rubber-coated steel bullets. The soldiers caused at least three Palestinian cars to crash, in separate incidents, after firing live rounds towards them, causing the drivers to panic.